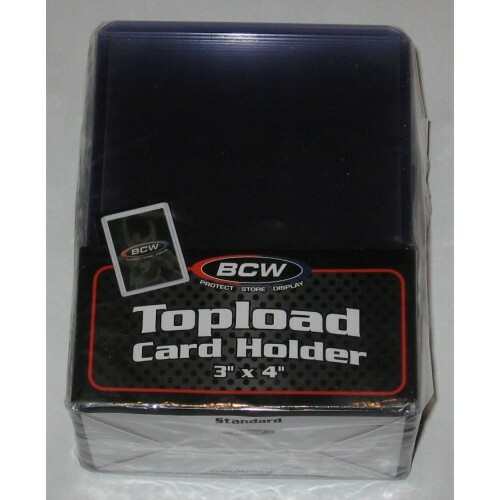 Case of 1000 BCW Standard 12mil Baseball / Trading Card Topload Holders. Packaged as 40 sealed packs of 25 holders per pack. The PVC used in BCW Toploads contains no plasticizers or stearates. 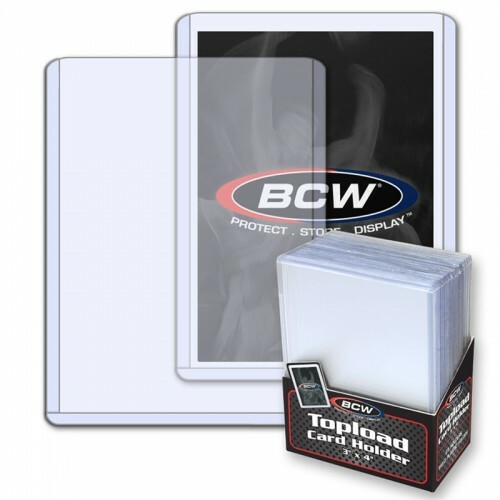 BCW's high impact grade PVC does not migrate and will not harm your cards, photos, prints, or paper while offering maximum protection and visual appeal. 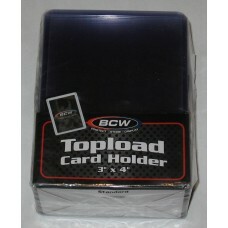 Do you have any questions about Case / 1000 BCW 3 x 4 Topload Card Holders Plain 12 Mil Toploads?